Yep, the racists swung it. As a lecturer who, for his sins, gets to teach sampling and statistics I remain interested in the narrowness of the referendum vote. What is particularly interesting is that set of people who are undecided – as if often the case these fickle individuals can swing results. This led me to look back over a long set of data for the referendum to see if I could detect swings. The first chart is fairly self explanatory – the undecideds mostly swung toward leave. Serendipity stuck its nose in, as it so often does, and the following chart also popped up, in that way Google throws up things vaguely linked to what you search at times. This immediately caught my attention. There was a clear spike in attitudes on immigration that began to harden just as the referendum campaign kicked off last year. Again I looked for longer data. It would seem that post-financial crash people were, understandably, mostly concerned with the economy and this matches a desire to leave the EU shown in the first chart (as people sort to blame existing structures for a failure to protect them?). By 2015 though views on the economy had mellowed just as the economy had begun to normalise and support for the EU grew. There were no new shocks to the economy in 2015, no new immigration data or shifts in the UK. All that happened in 2015/16 was a campaign by the Brexit group and its follows in the mass media that immigration was the ‘problem’ and leaving the EU was the solution. So there you have it. While a rump of the leave supporters probably would hold that view come what may they were pushed over the finish line by a tide of anti-immigrant racism. Whilst that is not a PC thing to say it is evident in the data. It’s not austerity or the economy but successful propaganda that appealed to some people’s deep seated mistrust of foreigners that seems to have won out. ​Since June 23 we have seen a flurry of media hyperbole linked to BREXIT as they seize on any snippet of data to show all is well, though the Olympics seems to have distracted us of late. Economics is not called the dismal science for nothing and the one thing an economist needs is patience. This is an economy on slow burn, but it is burning. Much was said about economists inability to predict the finical crash of 2007 and this was used to imply that predictions of the economy where systemically flawed. Of course what this fails to recognise was the context of that crash. Much money had been lent to individuals and corporations that had, or should have had, poor credit ratings. This debt was then passed off as being low risk. The market requires accurate data to price and manage risk. To predict this crash one would have needed a model that factored in that much of the securitised debt was miss represented – given that it was not known that this was the case that would be a perverse model. BREXIT is quite different. Here the risks are known and can be priced in and modelled. So why did the economists get it so wrong, why aren’t we in a recession? Well I’m sorry to disappoint you, I appreciate it is comforting to think that experts are wrong and all that book learning is a waste of time, but the models were and are for BREXIT not BREXIT MAYBE. BREXIT MAYBE is happening right now. The first hit has been to the sterling. As predicted, uncannily exactly as Soros predicted, the pound hovers around $1.30. The impact of this is slow to work through but we have already seen it with fuel prices. Though the price of crude had crashed over the past couple of months, only to regain strength then fall again, the price at the pumps (after we have had to buy in dollars) has been static. Though fuel companies are often slow to pass on cuts even a fraction of the 20% cut in crude has been completely absent (my fuel today was 2p per litre dearer than June 23rd). It’s been good news for tourist coming to the UK though, and they have had a bit of a spree, but the impact on domestic consumption is a little slower to work through as stocks are run down and existing forward contracts exhausted. All the signs are that we are now entering a period of inflation that will result in a rise in the cost of living. This is directly caused by BREXIT MAYBE. There was also some talk of a reduction in investment and of course every tiny bit of news that says a company will still invest has been trumpeted as proof that everything is fine. Whilst we have seen some companies ‘not stopping doing what they had already planned to do’ we have also seen some that have pulled back and held back on investment. This has a direct link to productivity which in turn links to wages, and coupled with the inflation we now see people can expect a fall in real wages over the coming years. Not one single company has declared that due to BREXIT they will now invest – only that they are now reconsidering. Big infrastructure has taken a hit. Here the decisions are made based on long term expectations and so far the value of investment has dropped £5.8bn (https://www.theguardian.com/business/2016/aug/22/infrastructure-spending-nosedived-after-brexit-vote-figures-confirm), and investors are now expecting the Government to invest more to make up the shortfall. That’s the figure for just one month though. This fall is linked to investors’ long term expectations and that’s where a twist comes in…. We had been promised an emergency budget that would see tax rises and spending cuts but that was wrong too wasn’t it? Well not quite. A third option has been activated by the Government. If you can’t earn more and you can’t spend less you could always borrow more. Years of austerity aimed at a balanced budget have been swept aside as the Government promises to borrow more to prop up the economy, good news for the markets as someone is writing blank cheques, but long term? 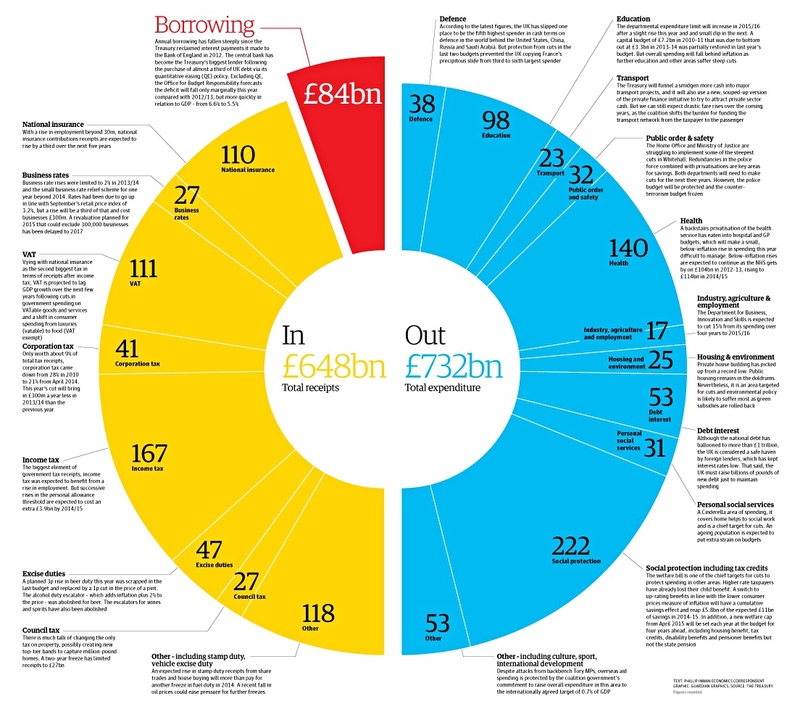 If debt wasn’t a problems what were all those cuts about? Which takes us to the Bank of England. The bank has cut interest rates and started printing money (again). Notice though that the cut hasn’t really been passed on to you and me? The equity markets are happy for five reasons. First they have time to restructure and relocate in an orderly fashion, remember they don’t like surprises as per the 2007 crash, secondly the BoE has started printing money, third the Government is writing blank cheques, fourth, and especially true for FTSE100, international companies earning foreign currency have seen their revenues rise in sterling equivalence just due to exchanges. Finally, and perhaps most importantly, the markets have settled down to the fact that the UK will accept some sort of Norway style membership with free movement and trade in return for a fee. They expect the British to do that British thing of being sensible after all the fuss. Settle down and be reasonable. This is the way the political narrative is going and looks to be the likely outcome, continued membership of a free trade area with free movement of people (with some sort of woolly worded sop to the rampant nationalists about emergency brakes). (Just to give a little perspective the Dow Jones is the highest it has ever been whilst the FTSE100 and 250 are yet to regain the position they were in 12 months ago). So all in all not too bad. Well not too bad for something that hasn’t happened yet. Actually that makes it pretty bad. The economy is slowing and we haven’t yet started, in fact we are at least three years off a position where we have to trade outside of full EU membership. We have no clear picture of what that may look like – though the markets expect something like Norway style deal. Investment in UK is slowing, the Government is upping its borrowing and the bank is printing money. And all of this before BREXIT – and the models were all predicting BREXIT not BREXIT MAYBE. You know that bit in a sci fi horror where the young recruit stands up and says “see it wasn’t so bad” just before an alien bites his head off? The economists are still sitting down. As the date of the referendum draws near it seems that much of the debate around EU membership still consists of soundbites and hyperbole. On one side there are stories of lost wealth and rights and on the other immigration and sovereignty. Behind it all are some quite simple choices though and I hope to spell them out here. The first area I will explore is the economy, the reason being that trade is central to what the EU represents, that also provides a lead into legislation and immigration. These three things are inextricably linked and are the core of the debate, or should be. On the economy we are faced with two choices, we can remain and continue to grow and develop as we have over previous decades or we can exit and strike out on a new path. We are clear what remain represents but what would this leave economic path look like? Here is our first obstacle, though not insurmountable. The leave camp often totes a figure of £350m a week in savings. This has been demonstrated numerous times to be a falsehood. The UK should contribute £350m per week but instead pays around £250m due to our rebate –the remainder is covered by other EU states (https://fullfact.org/europe/our-eu-membership-fee-55-million/). So £350m cannot be saved as it is not paid. £250m is still quite a bit though – but then of course we receive a fair chunk back in the form of farm subsidies, grants, investment and other schemes. Of course exit would mean we were able to choose how we spend that money. But have the leave camp been open and honest here? I mean it is one thing to say “we could spend that on the NHS” but this is disingenuous. What would be fair to say is “by leaving the EU, ending regional grants, stopping farm subsidies and stopping investment in business we could instead spend the money on the NHS”. This also assumes that any post-exit government would be pro-NHS and anti-tax cuts and free markets (of the type favoured by the more radical elements of leave) – you cannot spend money twice nor adopt two positions. Of course all of this sets aside the debate about membership benefits. Being in the EU is much like being a businessman and joining the local golf club. The benefits from membership might have little to do with golf and a lot to do with membership. By being involved you are able to influence business deals and receive a return on your investment. It would be foolhardy to assume you have the same access and contacts if you were to stop paying. The benefits of EU membership, from an economic perspective, relate to free trade. The terms the UK has with the EU are better than any country outside of the EU. No one is saying the UK would collapse on exit (an ad hominem put about by leave), but all indicators suggest that exit would result in a reduction of GDP (with the exception of some more extreme models we will come on to). The reason for this is simple. Assuming the UK does not immediately sign up to a Norway style model of accepting all the rules, paying a fee but not being able to vote, which would be worse than we are now, we will have uncertainty and delay. Outside the EU the UK would no longer represent a way in to Europe for foreign direct investment. Those companies that use the UK as a springboard would need to relocate to other EU countries. In addition the relevance of London as a finical centre will be questioned. It will not cease simply be less relevant as THE financial capital of Europe. Add to that the uncertainty and the likely flight of capital as it seeks safe havens, the impact of less migration on labour costs, tariffs on imports etc., etc. and it all points to a decline in GDP. Of course the leave camp has a solution to this. They are not suggesting we leave and isolate ourselves. Their answer comes in two parts though. On one side you have the economists, not many, but a small number who are pro-leave. These are led by Minford (http://www.walesonline.co.uk/business/business-news/doom-gloom-forecasts-around-brexit-11071818). They have a very clear position and one that is recognised by other economists as legitimate if perhaps naive and undesirable (http://www.ft.com/cms/s/2/11ac1414-f643-11e3-902a-00144feabdc0.html#axzz471TtyKlV). They propose, as Minford has since the 80s, wide scale deregulation and free market trade. In other words their model is one of stripping away rights and rules pertaining to employment, to open up our borders to free trade and to allow a free flow of goods and investment. This free market model was too extreme for Thatcher’s government of the 80s, though it adopted some parts, and would see an end to the welfare state as we know it. The free market style of economy they propose is to the right, economically, of the rest of the EU, of the USA and of Japan. It is one were market forces decide everything. This is a perfectly valid economic position and may, only may, in fact increase GDP. Whether that increase translates to a fair distribution of wealth remains to be seen. It is certainly difficult to point to a country where this is the case. However if we trust that markets will not simply result in the rich getting richer and the poor poorer then this is a real option. The second, less radical approach, suggest that we can carry on as we are as the EU will beg us to trade with them on the same terms. That’s quite a gamble. A bit like saying to the golf club “I’m not paying my fees anymore but I am still coming”. Supporters of leave will of course point out that there is the issue of trade and that we buy more from the EU than we sell to them. This is true but is a red herring. We buy more in pounds but are small in proportion. Basically it would be like saying to the golf club “but I drink more in the bar than you pay me” (assuming you did a bit of maintenance work for them). Yes the pounds you receive are lower than the pounds you pay but compared to the overall bar takings your bar bill is very modest, too modest to grant you special rights that other club members would then demand. Almost half of what we trade is with the EU but a small percentage of what they sell comes to us (http://www.niesr.ac.uk/blog/after-brexit-how-important-would-uk-trade-be-eu#.VyHo77f2bcs). We are more desperate to sell. This does not place us in a strong negotiating position. It is all well and good to argue that we are the fifth largest economy but Germany is above us and France right beside us. To put it in perspective the US and the EU are both around six times as big and China around four times as big. Germany, the US and China do not have unbridled free access so why would we? Of course the EU would reach an agreement with us, no one is arguing otherwise, but it would not be simply “same as now but with no fees and no rules”. A model like Norway would be more likely. In this model we pay, we have to follow the exact same rules and we would have to allow free flow of labour (migration) (http://www.telegraph.co.uk/news/uknews/immigration/11190269/If-EU-migration-is-the-problem-Switzerland-and-Norway-are-not-the-answer.html). The worry is that no one from the leave campaign seems to have spelt out or tried to negotiate what this model will be or looks like, with the exception of Minford and the unbridled free trade movement. Representing the supply side of the economics debate is legislation. There is a lot talked about ‘laws and rules from Brussels’ but people seem to find it hard to point to one they dislike. In part this is because most EU related legislation does not impact on our daily lives (like the way crisps have to say ‘beef flavour’ as they contain no beef). It’s worth remembering that the EU is a diverse area in terms of law. In some countries abortion is illegal while in others prostitution is legal. In some you can smoke pot while in others you cannot smoke cigarettes in public places. Much of the legislation relating to the EU is simply trade regulation. These rules are similar to the rules found in a sporting event. If you want to play the game you have to follow the rules. China, the US and all other countries have to follow EU rules to trade in the EU and yet have no vote. Outside of the EU we would still have to obey them when we traded and our compliance would form part of any negotiation. Minford and crew are clear though on which laws they would scrap – these mostly relate to workers rights and consumer protection (supply side constraints). The less radical elements in the leave camp are more coy. Finally we come to migration. Free movement of people is an essential element of free trade. Labour and lemonade are no different in that respect. The UK has control of its borders, it is not part of Schengen, but it is true that if a Polish person wants to come to the UK to work, or a British citizen wishes to work in Paris they are free to do so. Benefits are a different matter and there is no automatic right to them (http://www.bbc.co.uk/news/world-europe-25134521). Of course if the benefits policy is not firm enough the UK Government is free to tighten it. A government simply has to treat all people equally – there is no requirement for it to be generous. We have a little more control on immigration being outside of Schengen, as anyone travelling in and out if the UK will notice. On a recent trip to Britany I was intrigued that I drove on to the Eurostar at Folkestone and drove off and on to the motorway at Calais with just a friendly wave. On the return though I was stopped, passports and names were checked, and it felt much more like ‘returning from abroad’. People’s concerns about immigration have been fanned by various vested interests. The evidence is clear that EU migration makes a positive impact on the UK economy – they give more than they take (https://www.ucl.ac.uk/news/news-articles/1114/051114-economic-impact-EU-immigration). With unemployment at a record low (http://www.bbc.co.uk/news/business-35594650) it is hard to see how employment would be positively affected by a reduction in immigration. It is true that a more constricted labour market would see wages rise. Less people going for the same number of jobs will push up wages but at the same time it will reduce productivity and drive inflation. Minford again has solutions for this – strip away workers’ rights etc. but the leave campaign do not provide much more by way of analysis. In addition the Norwegian model requires us to allow migration in its present form; in fact Norway, Switzerland and Iceland are all members of Schengen. The economy is benefiting positively from the present situation and so it is hard to see on what grounds, other than a petty form of racism, people would wish to restrict migration? The remain camp have certainly thrown some startling figures around and this could be described as a campaign based on fear, but it is hard to see how else the argument can be made. The leave camp has provided, Minford the exception, no model of how the UK will function. This vacuum has to be filled by data from the remain group and inevitably that does not paint leave in a good light. If the leave camp were open and honest about their model, assuming they follow Minford, or were clear about their preferred choice (Norway ‘with a, b and c’ changed for example) there could be a debate. Instead leave simply seem to produce a string of soundbites and clichés. The remain message seems clear: remain, influence, grow, develop, shape. Leave is far harder to call; on the one had insular and protectionist (British this for British that) and on the other rampant Minfordian free trade with open borders, unrestricted trade and imports and few workers’ rights. Now I am back from Normandy I am trying to catch up with the comments and blogs. What seems to have emerged is a debate about definitions (mostly around enterprise/entrepreneur), a collection of anecdotal evidence and some PR. In many respects this represents the area rather well. I’m reminded of the French commander’s observation of the ill-fated Charge of the Light Brigade “C’est magnifique, mais ce n’est pas la guerre" ("It is magnificent, but it is not war"). I fear with us, though thankfully far less disastrous, it is more “it is great but it is not business”. It is really interesting to debate the difference between enterprise and entrepreneurial activity and this has rolled on. I’m happy that we have some blurring and in fact I often start with a venn diagram with students trying to pick out what is uniquely enterprising, entrepreneurial, employable (employability). It’s hard. Normally we (not i) conclude that the entrepreneur is the one that manages more risk and has more of the pushy individualism. But I don’t want to get too bogged down in that debate. Where I see employability, and I agree with Dave fully here regarding its flaws, is enterprising employability. The graduate training schemes are clone machines often and poorly equipping us for the challenges of the future. I guess I’m saying I think we should merge employability and enterprise – taking the best of enterprise with us and shaking up employability. Drop the distinction that sees enterprise equated with self-employment (rightly or wrongly) and allow it instead to be linked innovation and creativity in any workplace. With regards business start-up we can easily over-intellectualise this. Let’s face it the vast majority of businesses are run by people with Level 3 skills (on the scale that sees HE as 4-6). My dad was one as was I before I came back to education. Basic bookkeeping, a bit of law and some marketing are all that is required and can be taught in a week or less. That’s all good and all healthy. Keep it simple, make money. Where are we trying to push graduates though? I would hope to be contributors in a prosperous economy at levels way beyond Level 3. I hope they found and run multi-million pound business or at least help someone else grow theirs. The skills needed though are not well served by cupcakes. The vexed issue of taxes part two...(why you haven't paid for the NHS)..
question now becomes how we pay them. Basically there is no free lunch – someway in some form you are going to pay a tax. Income tax is the obvious one, the value added tax is fairly clear, national insurance and car road fund are types of taxes too so there are a few for a start – even if you don’t work they’ll get you. We could always load it on corporation tax instead – after all they have lots of money. But then if we do that it will impact on prices. Companies are not able to run at a loss and so company tax becomes just another business expense. Of course we can conclude that the Government is on the make– after all why have I paid my car tax for such rubbish roads, why do the government expect me to fund my health care when I pay NI? Here’s the problem, we don’t pay enough…. tax on fuel back by £9 billion but then which other tax will we put up to cover this and what impact will that have on car use – people won’t drive less as a result! a couple of children and earn£20,000 the Government give you back about £4,000 – which is more than 20% on the £10,000 you have earned. So income tax is, contrary to popular belief, mostly paid by the wealthy. It still seem a little perverse to tax people on effort but at least the present approach taxes proportionally higher based on ability to pay. The third biggest tax is National Insurance. As we have seen above this doesn’t cover what it was set out to pay for but provides a useful income. Again it charges proportionally more for those earning more. Sat between these two is VAT. VAT seems fair, tax on spend not on effort. Of course there are anomalies such as the VAT on health and hygiene products but overall it seems a fair tax. Perhaps an answer is to lower income tax and increase VAT? An increase in VAT to 25% would in theory raise over £20 billion and that could crudely see a 20% drop in income tax (from 20% to 18% not unfortunately from 20% to 0%). The only trouble with this is those on a zero income would see cost rise but income remain static. Pension and benefits would have to increase to cover this shortfall. higher prices and so we may as well collect that money directly via VAT. Inheritance tax is a funny one. It’s very low and only applies above £325,000. The thing is most of this relates to increases in the value of houses. It is not earned but a happenstance of owning property, property that you wouldhave paid less than £50,000 in the early 80s now worth over the inheritance tax threshold. Of course even with interest you would have paid nothing like this amount. So why don’t we lose the threshold and simply charge a flat 20% on all estates. We only raise about £3billionthough inheritance at the moment but this could rise significantly with a new threshold and rates. In addition it has the advantage of stimulating the housing market by encouraging sales to fund the tax bill whilst not reducing anyone’s incentive to work. What we see of course, just as with spending, is that taxation is necessary but over complicated. We take income tax from the low paid and give back more in the form of credits. We strip the NHS of cash and then expect enhanced services – when we haven’t even paid for the ones we get. We complain about poor infrastructure but want to pay less tax in order to improve it. Overall we simply want someone else to pay…. People always like to complain about taxes, public spending and growth and so I thought it would be fun to start from scratch and build up a system in a naive copy of Plato’s Republic. Why taxes? Well taxes are used to take care of market failures – things that aren’t provided for a by a market mechanism. There is no need to subsidise soft drinks firms and phone companies as people will happily pay for these and it is easy to see ownership and control. Streetlights, on the other hand, cause us the problem that ‘pay-as-you-go’ would see towns in darkness and Pied Piper like lines following the one sap who is paying. to use so no tax is required there. Ok so we have a country that has enforceable contracts and infrastructure. We haven’t forgotten the army – some sort of defence force needs to be added and that will require more tax. To ensure we have an effective and efficient workforce we will need education – most people won’t be able to pay for that and so again we will need to raise some taxation. Ideally this education will extend to as high a level as required but should at least secure literacy and numeracy to adult levels. In summary we have a judiciary (to include police), infrastructure, defence, education, health and foreign affairs. People do get old though and probably won’t have saved enough so some sort of basic pension is required, alongside some sort of fiscal help for those unable to work due to health. Should this utopia not provide enough work then there needs to be some subsistence allowance for those not working. So what do we do in reality? Most of our money is spent on paying pensioners. There are lots of them of course and so that’s a big bill. We spend a fair bit on health too – though we have one of the lowest spends per head in the developed world (we are 15th). With education we are 17th –though we have very crammed classroomsso that may help explain that. We spend a lot on tax credits, subsidising low paying companies – about 10% of the total. Then of course a big chunk goes to private landlords in the form of housing benefit. Paying for the banking crisis is our next big spend followed by sport and culture. Defence is relatively cheap and policing even cheaper. Infrastructure and business are last of all. they are not market failures. The FA is wealthy beyond the dream of avarice after all. Numerous billions could be trimmed from pensions if people had paid in to their own schemes. Housing benefit could be reduced if the housing market was freed to operate properly and councils freed to build. Health is a tricky one – we don’t pay that much by international standards. Perhaps though efficiencies can be made centralising and reducing the number of local GPs? All in all though the tax system doesn’t seem that mad – at least on the spending side. Perhaps we should look again at the tax raising side though? With my background in construction I have always kept an interest in property, it’s my natural home if you’ll pardon the pun. What’s troubled me as an economist is the nature of this market, particularly in the last few years. Whilst it’s common knowledge that the market is strained – and by market I mean the free markets ability to provide houses for those that need them – until I looked at the data I was unaware just how bizarre it had become. used as a safe haven in the way gold is). This is all simple enough. In this first chart we can see that as activity grew from 1995 – 2007 so did prices. More purchases took place and prices rose. Prices started doing something interesting around 2003 onward – they started accelerating away from volumes. This would suggest demand was starting to outstrip supply. Bang. 2007 and everything drops. Well volumes drop a lot, prices only marginally. Then something strange happens – volumes hardly recover at all but prices do. We have a situation where there is less activity, markedly so, but restored prices. Why have the Government targeted demand and not supply in what seems to be an inelastic market? Why have they allowed cheap lending and help to buy and yet done little to help the supply side? Where are the reductions in red tape, liberations to planning restrictions and other positive measures that would boost supply and control prices? There is no correlation between volume and price - pretty much none at all as this chart shows.